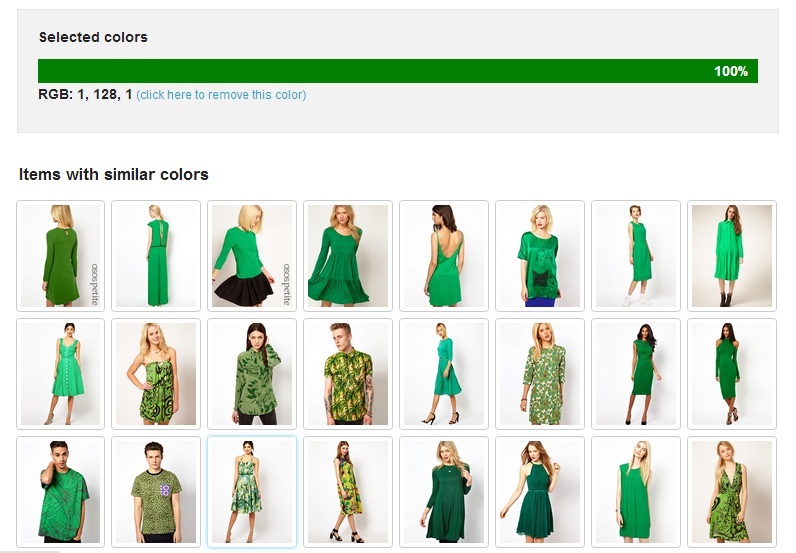 Since our great experience as an API partner in Seedcamp’s Seedhack about a month ago in London we were quite keen to showcase how what we do can applied in online fashion and retail. 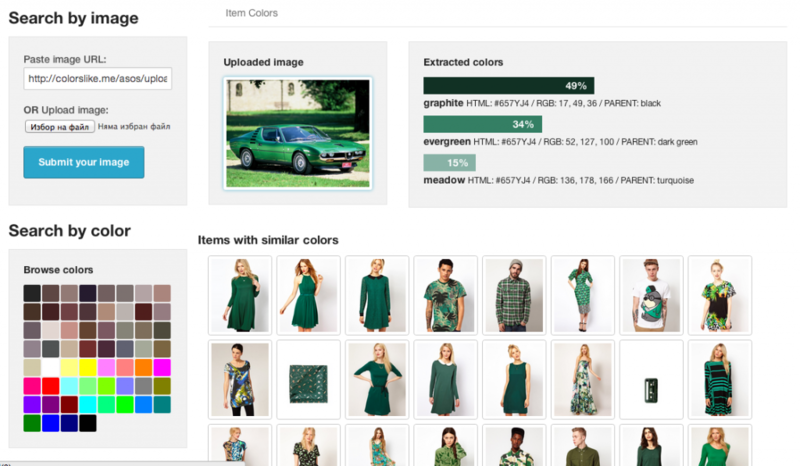 That’s why we came up with the idea to pick up one of the most recognized players in the online fashion industry – ASOS, and do some mashup with our color extraction and search API. And the result is already here! – http://colorslike.me/asos/. 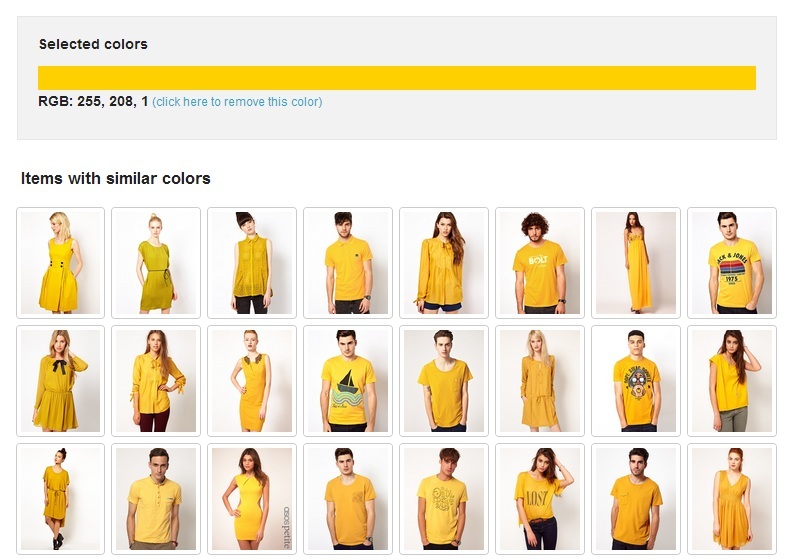 The interface is pretty basic currently, but it’s still handy – you can pick one or more colors, provide an image URL or upload a photo, and you’ll get images of similarly colored items (predominantly dresses and shirts) from ASOS. Pretty cool, isn’t it? I agree, it really matters to look stylish in your retro Alfa Why don’t you try it and see if it’s going to work for you as well!